'Deadpool 2': Official Teaser Trailer #3 reveals offer of free tattoos at 2017 CCX in Sao Paulo, Brazil – AiPT! Deadpool is getting fans at the 2017 Comic Con Experience in Sao Paulo, Brazil ready for his movie sequel in a way that’ll last a lifetime. Probably. Want your very own Deadpool tattoo to symbolize your love for the Merc with a Mouth forever, but strapped for cash? 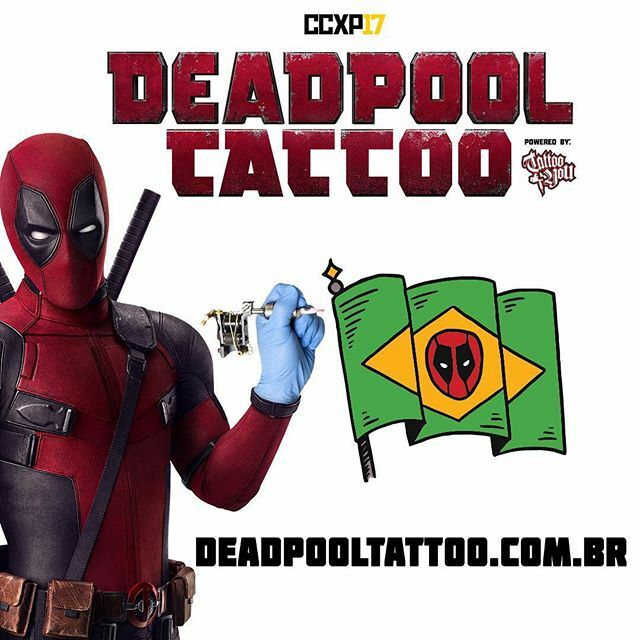 If you’re attending the 2017 Comic Con Experience in Sao Paulo, Brazil this weekend you’re in luck — in an aberrant move that should surprise none, Deadpool is sending a team of tattoo artists to the Brazil Comic Con to ink willing participants.